Impressive stunts are normally the silent heroes of movies. As a moviegoer, we know they’re there because we can’t believe our eyes. But they are supposed to take us seamlessly into the action and have us believe that James Bond or Jason Bourne are those daredevils flying through the air, racing across roof-tops, skiing down impossible and impassable slopes…and on and on and on. And this is the world in which “Tracers” is set, and the world that Cam (Taylor Lautner) is brought into through Nikki and her gang of lost, broken boys and Miller, their nefarious leader. In the heart-stopping “Tracers” starring Taylor Lautner, along with him are the film’s truly unsung heroes - stunt coordinator/2nd unit director Gary Powell and assistant stunt coordinator Lee Morrison who are responsible for the breathtaking action scenes at the backdrop of the very popular sports parkour. “Kids all over the world are now doing because it’s actually a very cheap but very good exercise where it’s all natural stuff so pretty much everyone can do it. So for Tracer we embraced that with our lead character Cam, played expertly by Taylor Lautner, a bike messenger riding throughout New York City with ease and speed. He meets up with a group of kids that are using parkour as a way of getting around New York without being seen by the authorities…and he takes to their modus operandi and quickly becomes part of their gang,” says Gary Powell of the movie’s story and action style. For Taylor Lautner, Tracers provided an opportunity for him to show the world that he’s an actor to be taken very seriously. He’s emerged into a talented force on screen that not only can pull of the amazing demands of a fast-paced action thriller, and is equally facile at the more character-driven connective threads that keep Tracers as a whole a fast-paced, heart-stopping drama too. Director Daniel Benmayor knows that audiences are going to be blown away by the excitement and authenticity of Tracers. “They can expect something that feels real and possible and relatable because we don’t have super-tweaked special effects. 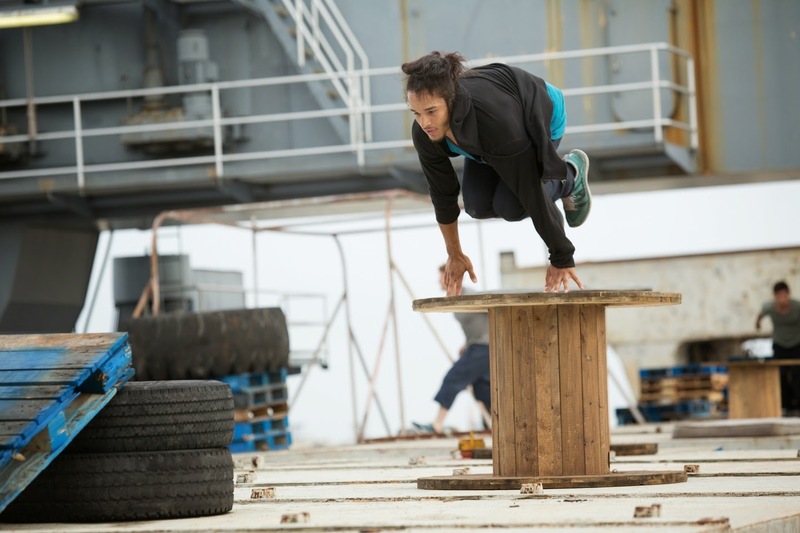 So as extraordinary as the stunt work is – and it is extraordinary – it feels grounded, believable, realistic on a level where the audience can actually access it and it doesn’t feel fake to an audience either on the emotional side or on the action side. And again I have to emphasize that Taylor did great work both in terms of character development, his character’s arc, the plot, his emotion, plus seeing him do the real stunts which is pretty amazing stuff! “Tracers” opens February 4 in cinemas nationwide from Pioneer Films.